16 April 2015 “On Friction” Contemporary Paradigms of Migration and Mobility, Neuchatel University, Switzerland. 13 March 2015: Poetry Reading. Writers Read Series. Concordia University, Montreal, Canada. 12 March 2015: “Outline of a Theory of Place” Concordia Centre for Interdisciplinary Studies in Society and Culture, Montreal, Canada. November 2014: “The Fence Furthest North” Department of Geography, Guelph University, Canada,. 3 April 2014: “Outline of a Theory of Place” Keynote lecture for the “There’s No Place Like Home” Symposium, Institute of Humanities Research, Arizona State University. 10 December 2013: “Assembling Place: The Case of Maxwell Street, Chicago” In the “Power of Place” lecture series – Catholic University of Eichstaett-Ingolstadt, Germany. 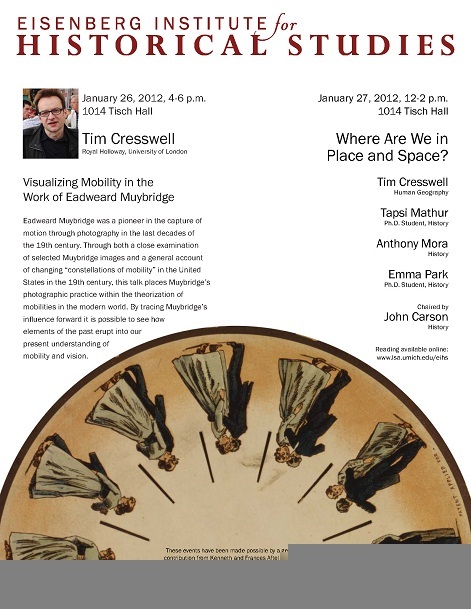 6 December 2013: “Assembling Place: The Case of Maxwell Street, Chicago” Keynote lecture to Feeling Space: Towards a History of Emotion, Affect and Space Conference at University of Copenhagen, Denmark. 8 November 2013: “On Friction” Geography@Harvard, Harvard University, Cambridge MA. 23 March 2012: Institute of Contemporary Art, London. “Culture Now” – conversation with artist, Alex Hartley. 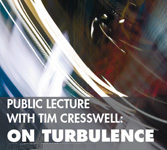 22nd June 2011: Public Lecture – ‘On Turbulance’ Malmo. 3rd June 2011: Writing/Creativity Roundtable at Nottingham University.